Yoga and Pilates are two of the most popular and effective methods for building muscle tone, strengthening your core, and improving flexibility. Our leaders hold some of the most well-recognized certifications in the field and come with years of teaching experience. We’re ready to help you reach your goals, energize your attitude, and relieve stress. Energize your workout with our Pilates Reformer Sessions! Target your deep core, power-house muscles and ensure you get a complete strength & flexibility workout! Sessions are taught in a small group setting (no more than six participants) and meet once a week. 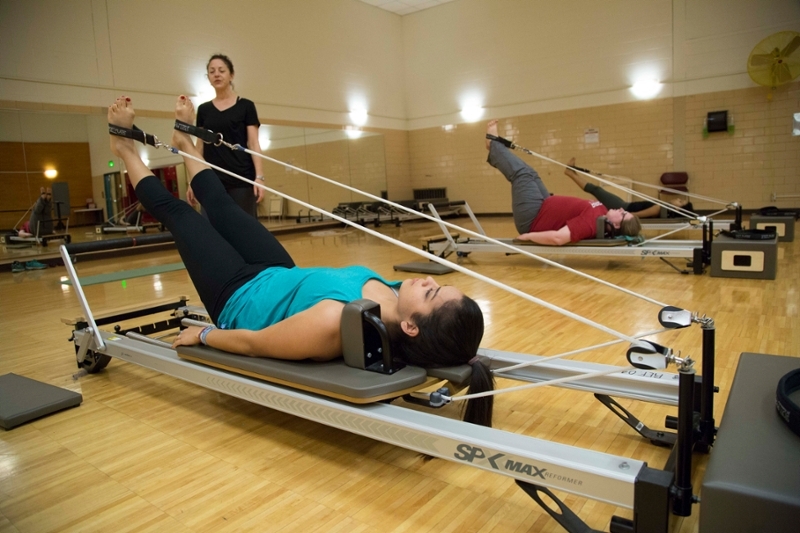 In Pilates Reformer, participants will combine their own body weight with spring resistance allowing for fluid movements that focus on eccentric muscle contractions. This introduces a new dimension of movement through kneeling and standing positions while working as a support when opposing muscles are imbalanced or flexibility is limited. All levels are welcome as modifications and variations will be given.